PayU Payment Gateway incorporates payment methods like Credit Card, Debit Card, Internet Banking, and PayPal. The travelers can make card payments as well as direct payments via any of the associated banks. 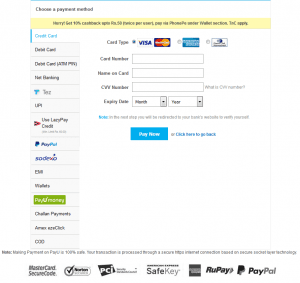 PayU Payment Gateway requires WP Travel Engine plugin installed. 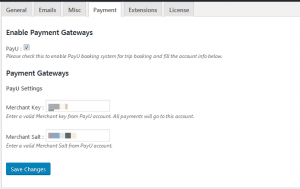 To configure PayU Payment Gateway, go to Trips > Settings > Payments. Later, when a traveler books a trip via PayU Payment Gateway, the traveler is taken to PayU to make a secure payment.